Meet Bleu. One of the colors its breed is known for is called “Blue” which is more of a gray with a bit of blue overtones. 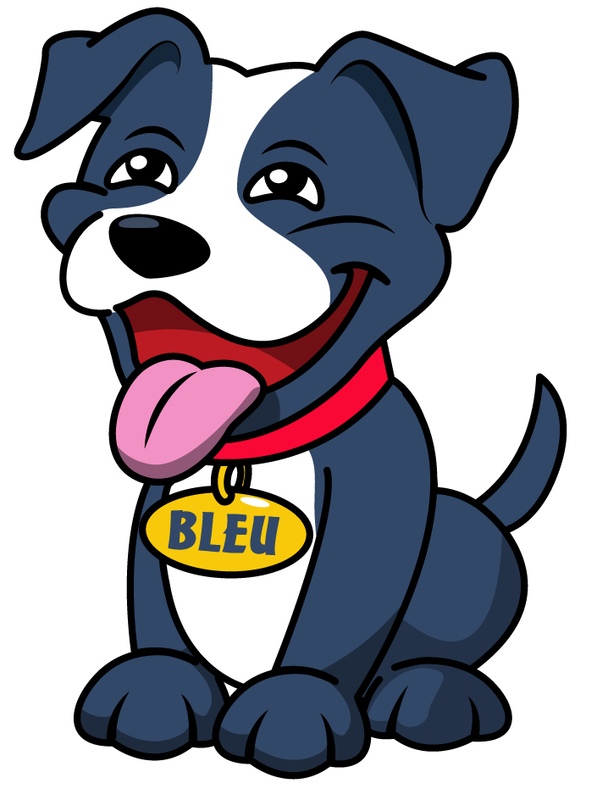 One of my nieces who loves this breed of puppy dreams of one day owning one and naming it Bleu, so I developed the animated character, had it illustrated, and sent a shirt and some mugs with Bleu on them to her. This entry was posted in Animals, children's stories, Illustrations, My Creative Process and tagged animated, character, children's, dog, puppy. Bookmark the permalink. He looks cheeky… I bet he has some adventures but also kind qualities and can help with his charm and cheekyness. I’ll bet you’re right, Ute. ;-D!